What’s the Price for the 2019 Nissan Versa S? How Many MPG Does the 2019 Nissan Versa S Get? What’s New for the 2019 Nissan Versa S? 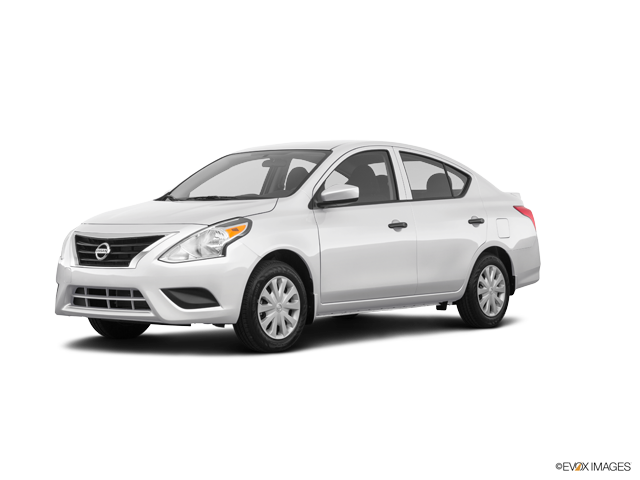 Since its introduction to the U.S. market, the Nissan Versa S has become a go-to vehicle option for drivers who want an affordably priced ride that doesn’t skimp on quality or performance. Nissan is rolling into 2019 with new enhancements to the Versa S. These changes are aimed to provide even more great features for drivers. Nissan is continuing to push the boundaries on what you can expect from a vehicle in this price point thanks to the new standard infotainment system and safety features. The Versa S is the base model of one of Nissan’s most affordable lineups. Despite the low price tag, the 2019 model now comes standard with a feature-rich infotainment system. The system is installed directly on the center dash for easy visibility and control. Navigating through the various menus is a breeze thanks to the 7-inch touch screen display. Bright colors, crisp graphics, and an intuitive user interface make the system a joy to use. The infotainment center isn’t just for looks. It can also keep you safe on the road. The system has built-in BlueTooth capabilities, allowing you to connect your smartphone device. Once connected, you can wirelessly stream music through the cabin speakers in the Versa S. It also allows you to make hands-free calls. A button on the steering wheel initiates voice commands. Simply say a command to make a call. Microphones in the cabin will pick up your voice so that your recipient hears you clearly. When it comes to safety, the Versa S doesn’t disappoint. The 2019 model comes standard with Vehicle Dynamic Control and a Traction Control System. The Vehicle Dynamic Control feature is designed to prevent issues from oversteering or understeering. The sedan is capable of sensing when these emergency situations arise. It will automatically make corrections to keep you stable. The Traction Control system works similarly. However, it uses sensors to monitor the movement of your wheels. It can prevent wheel slip, allowing you to accelerate and drive over slick surfaces confidently. The 2019 Versa S also has a standard RearView Monitor. This feature gives you a better view of your surroundings as you navigate in reverse. A small camera is built into the rear of the car. It turns on automatically each time you shift into reverse. The live feed is displayed on the infotainment screen for your convenience. Beyond the new additions, the 2019 Nissan Versa S has the same great look as its predecessor. The exterior continues the sleek and modern design that drivers love. The front-end of the car features the iconic Nissan V-motion grille. The grille is surrounded by an attractive mirror chrome trim. Angular headlights continue that feeling of motion. Inside, the cabin is simple in design. Soft-touch material is used to cover the dash and side panels. On the center console, you’ll find two cup holders and multiple USB ports to keep all your modern devices connected. Come on down to Carriage Nissan today to see the new 2019 Nissan Versa S in person. Our team is committed to helping you find a car that’s right for you. Your satisfaction is our top priority, so we’ll work diligently to make sure that all of your automotive needs are met. Swing by today to take an in-depth tour of the Versa lineup. We can also set you up behind the wheel for a test drive. ** 2019 EPA Fuel Economy Estimates 27 City/36 Highway/30 Combined for Versa® Sedan S. Actual mileage may vary with driving conditions. Use for comparison only.